Your bed is the dirtiest piece of furniture in your room. This may come as a surprise to some, but most of us have a pretty good idea that our beds aren’t the cleanest areas. Just because we wash our sheets every week doesn’t mean our beds are clean. This can be a bit unsettling considering we spend an average of 56 hours per week laying on our beds. Some people spend even more time than that in their beds! The Better Sleep Council recommends replacing your mattress ever 7-10 years depending on how well it was taken care of and how much time is spent on the bed. The upfront cost for a mattress is expensive, price ranges for a new mattress is anywhere from $250- $3,000 depending on the quality! So, for a small cost to have your mattress steam cleaned about once a year, you can prolong the life of said mattress up to the full 10 years! If you spend $2,000 on a new bed, and it lasts you the full 10 years, you will only be spending $1.83 per night for a restful, healthy good night’s sleep. That’s less than your morning drink stop! So, what are some of the health benefits to having your mattress steam cleaned? What exactly is lurking in your bed? Humans naturally produce 26 gallons of sweat in their beds every year! This is why our beds become so heavy over time. As if this wasn’t bad enough, our beds are a hotspot for microscopic life! Moisture at high humidity like this is ideal for fungal culture. According to Dr. Philip Tierno, a microbiologist and pathologist at the New York University School of Medicine, fungi spores, bacteria, animal dander, pollen, soil, lint, dead skin cells, dust mites and other contaminants are found lurking in mattresses. This is just the start of what can be found sleeping with you at night, women who wear make-up to bed, or anyone who applies lotion to their skin ultimately introduces these oils and creams into their mattresses. Some people even eat in their beds! Food droppings in bed provide a nice environment for these organisms to thrive. According to a 2015 study, used synthetic fiber and feather pillows between 1 ½-20 years old had between 4-17 different fungal species present in the center of the pillows. Gravity works, most of the contaminants were found in the center of the pillow, and the same applies to your mattress. In time gravity drags pollutants and microorganisms down into the core of the mattress making it nearly impossible to clean just by surface cleaning alone! Out of every 6 people on Earth, at least 1 has allergies. Your bed could be making your allergies flair up, which could be the cause for waking up with a stuffy nose. In people with respiratory ailments such as asthma or COPD, these allergens, including dust mite feces and debris could aggravate your already sensitive lungs. The only truly effective way to kill the germs, viruses, microorganisms and fungi that lurk in your mattress is through a thorough professional steam cleaning done about once every year or two. This will not only remove unsightly stains, but it will freshen your bed and leave it smelling and feeling clean as a whistle. At Go Green Carpet Cleaning, our state-of-the-art equipment heats water to a high temperature that effectively kills anything living on your mattress, while controlling the amount of water that is forced out to shorten dry time and avoid over soaking your bed. Then our powerful equipment extracts any left-over water, along with all the gross stuff you don’t want in your bed and removes it, leaving your mattress much lighter than before! If you’ve never had the pleasure of a good steam cleaning for your mattress or it’s been a while, call us to schedule a consultation today! Does Professional Carpet Cleaning Really Work in Glendale, CA VS Machine Rentals? Your carpets need to be deep cleaned once or twice a year in order to remove the compacted dirt and debris below the surface along with any spots, stains, and odors. In conjunction with routine vacuuming, deep carpet cleaning is an essential element to your carpet maintenance that can ensure your carpets are healthy and last to their expected lifespan and potentially more. 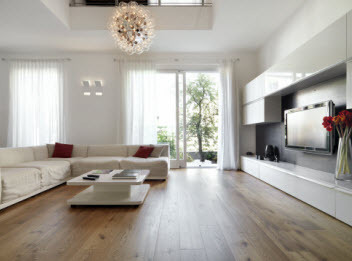 When it comes to deep cleaning the carpets, there are options homeowners have. With DIY carpet cleaners for purchase or rent, or hiring professional services; what is best for your needs? We at Go Green Carpet Cleaning would like to discuss DIY Carpet Cleaning VS Professional Carpet Cleaning for your Southern California home. Renting the equipment to deep clean your carpets is generally readily available in department stores and home improvement stores. For those don’t have the initial funds or space to store their own deep cleaning machine, renting is an adequate alternative. To take care of pet odors, or spot or stains, these machines are moderately effective. They can also remove a minimal amount of the under-rooted dirt and debris. These machines are incomparable to professional grade but can help combat stains and odors to a degree. Quite a few homeowners prefer to invest in owning their own deep carpet cleaner as opposed to renting one. Especially for homes that have little ones and pets that frequently have spills and accidents to control the odors and stains. 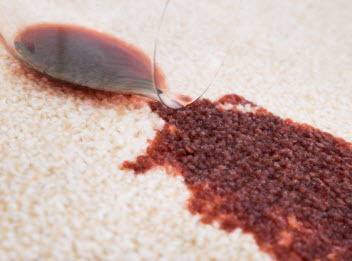 Having the option to reach for a deep carpet cleaner when an accident besmirches can often prevent stubborn stains. Additionally, those who diligently use their carpet cleaner can often reduce the need for professional carpet cleaning, but it does not replace the service. Like rentals, the machines effectiveness does not compare to the powerful efficiency available to professional use. At the minimum, you should still schedule professional deep carpet cleaning annually to ensure healthy and beautiful carpets. Generally, carpet cleaners available for DIY use simply run over the surface. They can help tackle fresh spills and accident and remove some stains and help reduce carpet odors as well as extract a portion of the dirt and debris lurking just beneath surface, but they do not have the force to get deeper or efficiently remove all stains and odors. Licensed professionals have exclusive equipment and products that are far more effective at removing the dirt and debris that has penetrated deep below the surface, remove the majority of stains and neutralize most odors. Ultimately, no other method or option is as effective as professional carpet cleaning. Where DIY carpet cleaning equipment can contribute to keeping your carpets in optimal condition, they are not designed to be a replacement for professional carpet cleaning services and can actually lead to a myriad of problems. Plug in machines don’t extract as much water and cleaning solution as powerful truck mounted machines do. This can lead to unhealthy mold and dirtier carpets as the left in solution can actually attract more dirt. Over time, the deep-seeded dirt and debris makes carpet look dingy and dull and even with routine vacuuming, the vacuuming cannot get all of the particles and it will eventually add up. The lingering debris can trigger allergies and asthma as well. Professional cleaning can extract the dirt, allergens, and other contaminants below the carpet’s surface as well as remove the spots and stains and neutralize and control the odors to maintain vibrant and beautiful carpets. For your Southern California carpet cleaning, call Go Green Carpet Cleaning and let our professionals take care of the rest.